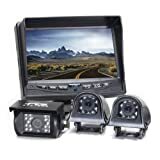 This back-up camera system is including a crystal clear 7″ DIGITAL TFT Liquid crystal display color monitor with range grid lines as well as mirror image capacity, a 3 channel multiplexer (may connect a Dvd and blu-ray player or other digital cameras) with automatic program switch, 130° SHARP CCD backup digital camera with 50 feet infra-red night vision and all sorts of wires, connectors as well as mounts you will need. 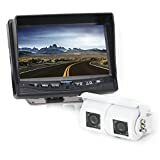 The trunk view camera product is completely weather proof by having an IP68 rating, strong as well as reliable, shock proof, with a 20G vibrati…. 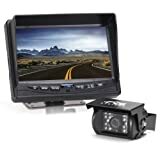 This backup camera product is complete with a crystal clear 7″ TFT Liquid crystal display DIGITAL COLOR monitor along with mirror image capacity and a 3 channel multiplexer (may connect a Dvd and blu-ray player or other digital cameras) with automatic program switch. The camera has 2 x 130° CCD digital cameras attached to one group. 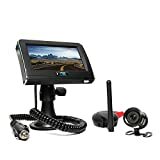 With this system you are able to angle one digital camera down for hitching and yet another facing fully back again for long distance watching etc. Each digital camera has 12 IR lighting which gives over 50 feet infra-red night vision. The actual rea..
– CCD camera along with 2.1mm wide-a….. 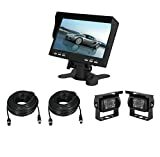 This product is complete with a crystal clear colour DIGITAL 7 inch TFT-LCD monitor along with distance grid outlines and mirror picture capability, two (2) Aspect CCD cameras with 120° watching angle with Fifty foot infra-red night eyesight, 1 heavy duty CCD 130° angle support camera with 18 constructed in Infra-reds and all the wires, fittings and mounts you’ll need. The system is completely weather-resistant with an IP68 rating, powerful and reliable, surprise resistant, with a 20G effect rating (highest in the).. 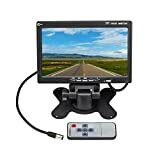 This Esky 7″ TFT LCD Monitor is specially created for rearview cameras, parking methods and other entertained audio/video products. 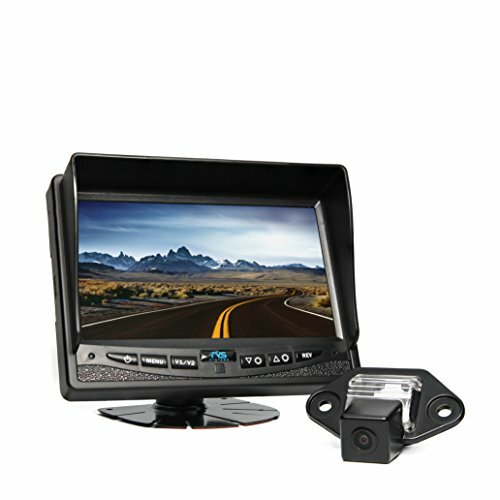 It supports as much as two video advices and high resolution picture display. It can not just provide safer traveling experience but also allow you to enjoy yourself when you have a brief break.